Dr. Zeinab Alawadi received her medical degree from the University of Jordan Faculty of Medicine in Amman, Jordan. She went on to complete her residency at the McGovern Medical School at UTHealth. Board certified by the American Board of Surgery, Dr. Alawadi provides state-of-the-art, compassionate care to patients 18 years and older. Her clinical interests include general, laparoscopic and robotic surgery, with an emphasis on surgery for cancers including breast. 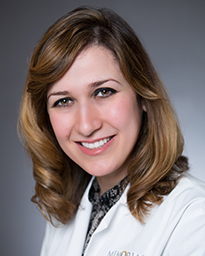 Dr. Alawadi believes in being an advocate for her patients. She takes ample time to listen to her patients to truly understand how she can best help them and recommends surgery only when it is the best option. Her goal is to provide the very best care, so that her patients live longer, healthier and happier lives. In her spare time, she enjoys spending time with her family and taking her two girls to the zoo and local parks. Dr. Alawadi practices at MHMG Southeast General Surgery.